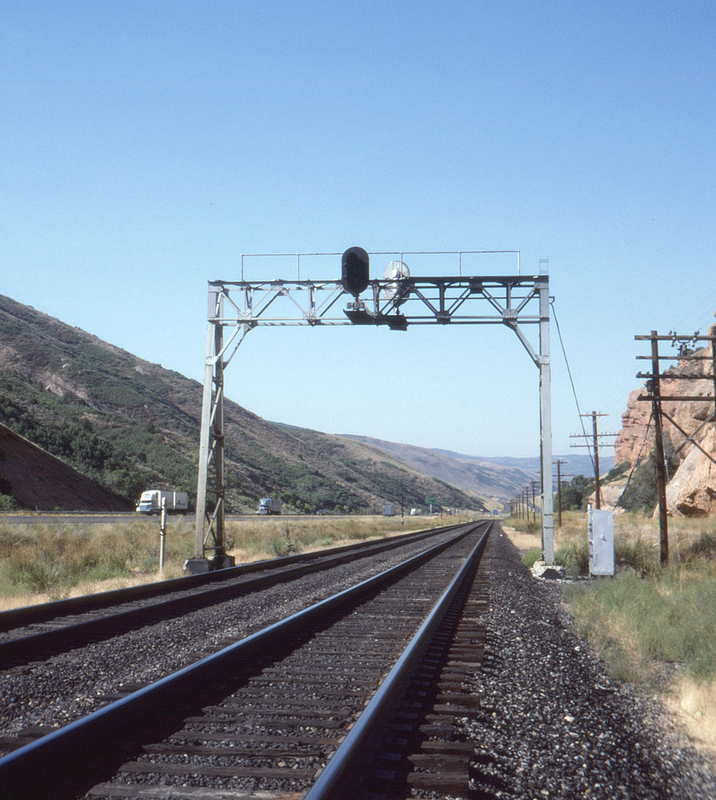 Another view looking southwest down the Union Pacific mainline in Echo Canyon, Utah. Note that left-hand running is the rule here as the right hand track is the eastbound one; hence the odd signal placement. Interstate 80 is at left; Echo Canyon Road is just out of sight to the right.